Launched in 2014, The Delaware Gardens Neighborhood Initiative (DGNI) aspires to develop community in the Delaware Gardens neighborhood (on the East Camden and Pennsauken border), primarily through seeding relationships between neighbors and neighborhoods, bringing vibrancy and pride to the area, and empowering youth and adult residents to take on key roles. Below are some of DGNI's key initiatives. The community food co-op focuses on providing nearly 300 local households with weekly access to foods that are fresh, represent all food groups, and to the extent possible, come from local sources (especially seasonal produce). Members are required to volunteer at the co-op in order to retain their membership. Members are invited to monthly community breakfasts and encouraged to access additional community resources, provided with related educational opportunities, and encouraged to get involved (and take leadership in) community activities and neighborhood improvement projects. UrbanPromise engages 10 youth (per year) as Leaders of Promise. Participants demonstrate strong character, leadership potential, and a desire to strengthen their community. 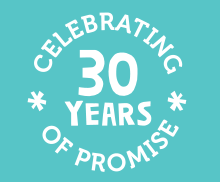 Throughout the year, Leaders of Promise have classroom-based and experiential learning opportunities that broaden their understanding of community health needs, encourage leadership development, prepare them to design and implement a Summer Action Plan to make a positive change in their community, and provide them with mentorship and support from adult coaches. After their year of participation, Leaders of Promise will participate in a Youth Advisory Board and related alumni activities.